Whenever concrete is mentioned, most people think of sidewalks or foundations. Concrete is rarely ever mentioned as a tool for raising a structure’s aesthetic appeal. 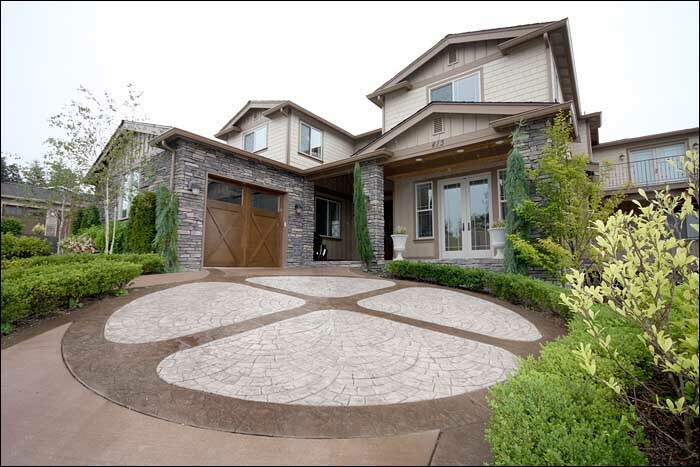 RC Concrete’s stamped concrete offers homeowners in Puyallup the ability to incorporate the strength and affordability of concrete with attractive designs and unique finishes. Since our start in 1990, RC Concrete has been committed to bringing its customers, like those in Puyallup, superlative decorative concrete services. Our team of professionals can help you transform your dream home design into reality, just the way you want it. Developments in decorative concrete design have turned this once“raw” material into an extremely effective way to add some excellent style to a home. With over 20 years of experience,RC Concrete’s decorative concrete experts’ well-planned design strategies and expertise can help Puyallup homeowners. We can create concrete structures, driveways, flooring and walkways that look like wood, tiles, natural stones as well as cobble stones and other attractive materials. RC Concrete’s stamped concrete services bring Puyallup homeowners a variety of designs to choose from. Our services offer a large number of finishes in various colors which can be used to compliment any existing design scheme or create a brand new look. This makes decorative concrete an extremely popular option for homeowners looking to redesign their patios, walkways, lounges, recreation areas and any external landscapes. Decorative concrete is also a surprisingly affordable and easy way for homeowners in Puyallup to increase the value of their homes. By adding custom designed patios, backyard landscaping, or a designer concrete driveway, RC Concrete enables homeowners to greatly augment the aesthetic appeal of their home. We guarantee our customers efficient and professional services, exceeding their expectations in all aspects of the project. RC Concrete will collaborate with you to help translate your dream into a reality. Call us today to achieve a home designed just the way you want, at a competitive price!